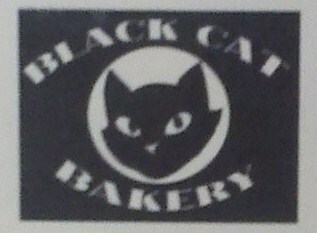 On Sunday I visited Black Cat Bakery & Cafe on Fairfax & Maryland in Los Angeles, CA. I was anticipating writing this review, as Black Cat is the spot I decided to write a blog in the first place (see about section of Ma’amCakes). 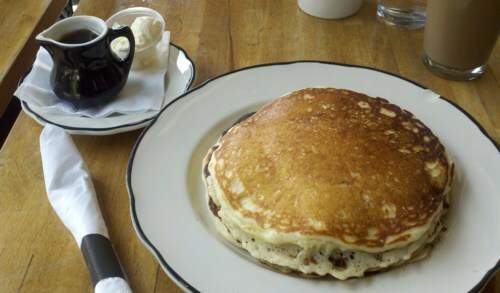 While the menu is not as diverse as Bea Bea’s, their choices are certainly enough for any pancake-lover. Per my first post of Ma’amCakes, I decided to go with the Belgian Callebaut chocolate-chip pancakes for my review, which also happens to be their most popular pancake. While they don’t have specialty pancakes (although depending on the day, they might have in their specials), all in all, I would definitely recommend Black Cat Bakery for a great chocolate-chip pancake breakfast. Be sure to take note they serve breakfast until 3pm, and have FREE PARKING in the back! Always nice to get your pancakes without having to worry about parking!